In France there is a special VAT rate applied to renovation works (carried out by professionals). This reduced rate provides substantial savings compared to the standard VAT rate that applies if you buy the materials yourself and then hire an artisan separately to carry out the work. France had already increased its reduced VAT rate from 5.5% to 7% at the start of 2012. On the 6th of November 2012 another rise was announced, this time from 7% to 10%, that came into effect on January 1st, 2014. The 5.5% reduced rate was originally created in 1999 to help stimulate the economy in the face of the world credit crunch and had been preserved under pressure from the building trade bodies including CAPEB to help preserve jobs in the building industry. What does this mean for French home owners? From a practical point of view, anyone who had already paid at least a 30% deposit on a building renovation project in 2013 – and provided the entire balance of the project is paid by March 31, 2014 – will be able to apply the 7% rate. Le Nouvel Observateur reported that this date has been extended in view of the inclement weather that delayed some trades, so the date to apply the lower rate has been moved to April 1st for the completion of the work and April 15 for the finalization of all payments in order to benefit from the 7% value added tax. 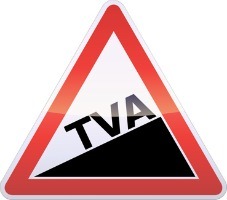 All new works after 1 January 2014 will be taxed at the 10% rate, while the standard TVA rate has slightly increased to 20% (from the previous level of 19.6%). In some exception cases, the 5.5% TVA rate will still apply, for example in any works pertaining to the improvement of the energy saving performance of an existing building (to the exclusion of newbuilds or building less than 2 years old). In other words, if you are considering a renovation that has a substantial part of the cost in materials or equipment, it is worth to compare the amount of the 10% difference in VAT that you would pay if you purchase them yourself retail at the 20% VAT versus hiring an artisan and qualifying for the 10% VAT (or even the 5.5% if it’s an energy-saving project). 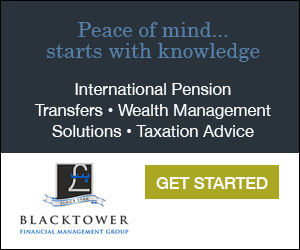 There are strict conditions to what constitutes ‘renovation’ as opposed to new build, and the homeowner has to sign an attestation to confirm to the builder that they comply with the renovation conditions, and to undertake to pay the higher rate if the works are re-qualified by the French tax office.